Wall Colmonoy is a globally renowned materials engineering group, known for ‘Making Metals Work Harder Since 1938’. 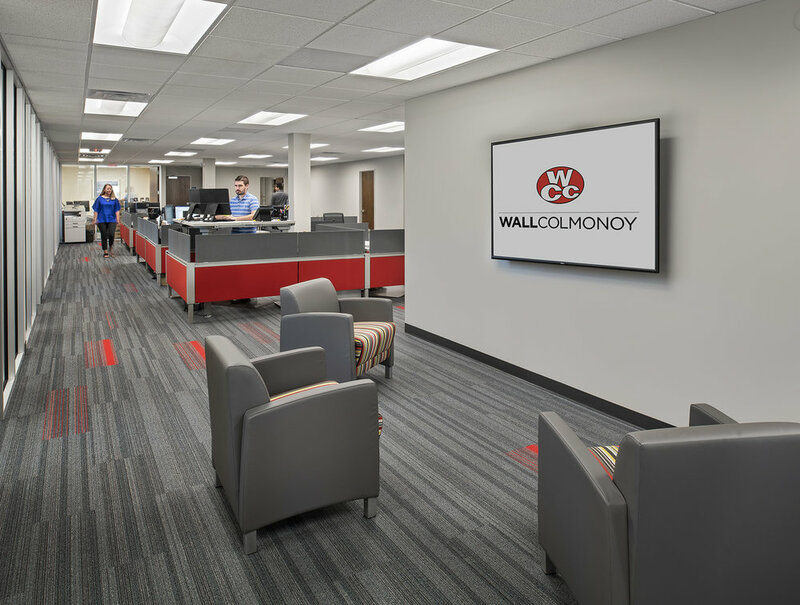 Wall Colmonoy values collaboration and takes pride in their work and employees, values which they leveraged when they chose to renovate their world headquarters located in Madison Heights, Michigan. ISCG was delighted to help. The organization wanted to maximize the capabilities of their current space and promote collaboration and productivity among their team. ISCG assisted Wall Colmonoy in the design process by facilitating a programming phase in which we gathered information from employees and presented our findings to the leadership team. This programming phase was instrumental in helping determine what solutions would work best at Wall Colmonoy. New furniture layouts encourage collaboration between and within teams. Relocating the kitchen allowed for a larger, multi-use café and the addition of a new conference room. File island doubles as both storage and collaboration area. Ergonomic products such as standing desks and task chairs encourage health, safety and productivity. Changing from fluorescent lights to LED provided not only a more efficient and sustainable solution, but also better for employees. Studies have shown that switching to LED can cause an increase in visual and cognitive tasks by 8.3% with increased attention and focus and reduced fatigue and depression. Incorporating more color within the space to better fit their global brand.